It’s almost not fair that two people like Diane + Rudy can be so good looking and so in love. Some people just have it all, don’t they? 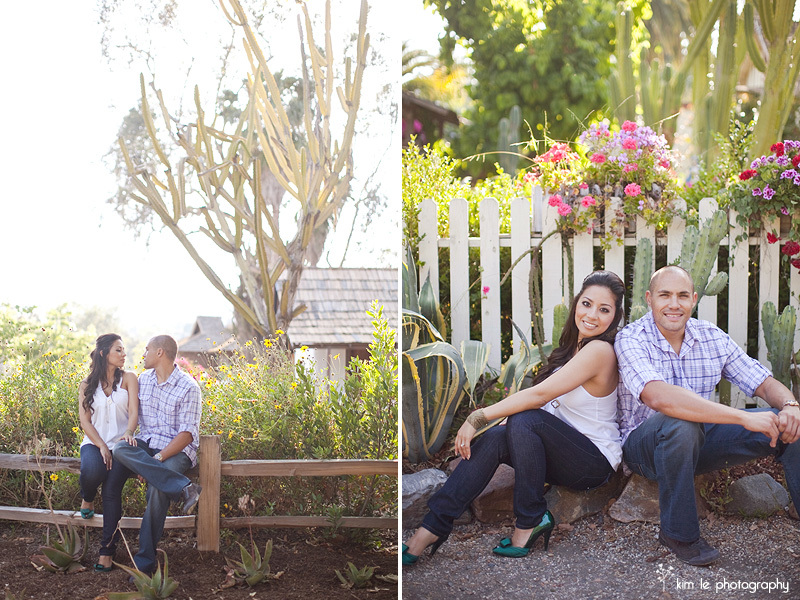 They certainly spiced things up at the Mission San Juan Capistrano and I definitely could not get enough of this beautiful couple. Their beauty and chemistry were undeniable. It was like watching a very pretty/hot love story unfold before my lens. I am soooo ready for their wedding next week! I have a feeling it’s going to be even hotter! 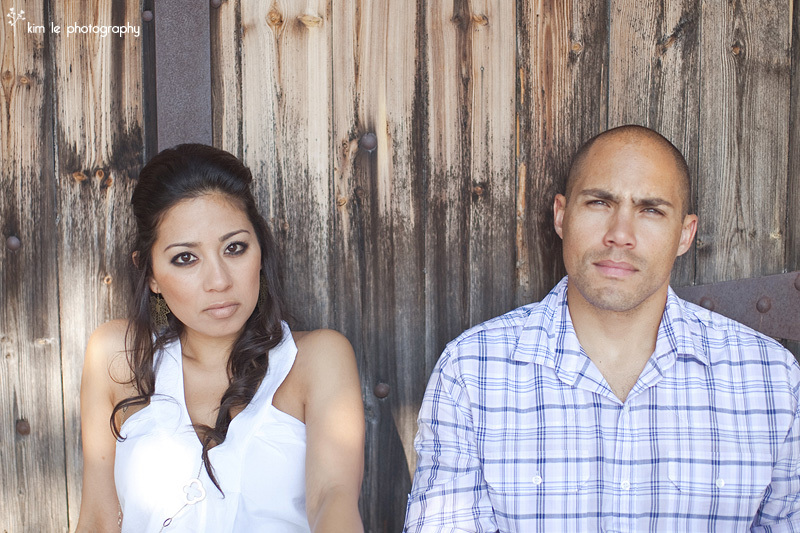 I mean, seriously…it’s not fair how hot these two are. And what makes them so hot is how hot they are TOGETHER. As the shoot wore on, the light got yummier. You add gorgeous light to a gorgeous couple and I was in photography heaven. 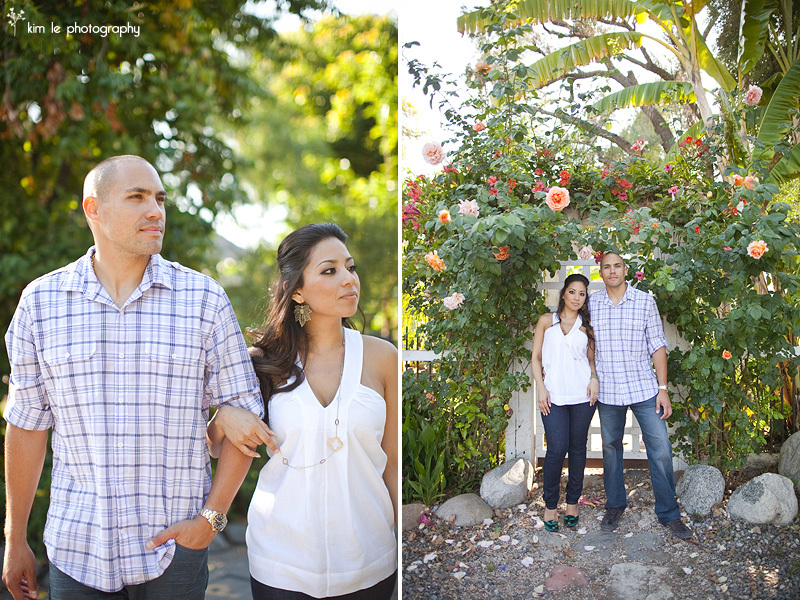 Tags: los angeles wedding photographer, Mission San Juan Capistrano, orange county engagement photographer, orange county wedding photographer, Railroad engagement. lovin’ the shots with the red train. swoon! Definitely hotness Kim. Love the idea to bring a vintage suitcase to the old train station. Great set. where is this red train located ! ?